Samuel Staniforth was born in the year 1840 and opened Samuel Staniforth Ltd in the year 1864. A Sheffield directory in 1871 has Staniforth listed at No.49 Carver Street, Sheffield, as a manufacturer of fancy pen and pocket knives, scales, blades and springs. 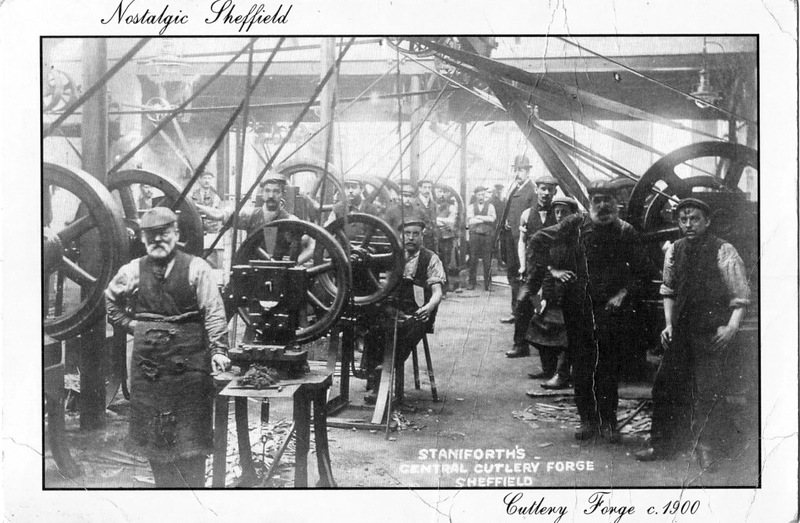 Forged blades, springs and scales became Staniforth’s speciality and the company was quick to gain a reputation for consistency & high quality. Sooner rather than later, Staniforth installed machinery for blanking knife blades from steel sheets into his factory. This increased the company’s versatility, allowing them to produce a wider product range. The speciality was then described as ‘fancy shape carvers, shell blades and forks of every description’ and this was now the focal point of the business. Staniforth retired in 1894, but his legacy continued. Due to the foundations he had built, the company was able to successfully continue manufacturing knife blades and in 1940 it expanded into the production of a wide range of trade and military knives, which are now used across the globe. Staniforth built a path of versatility, which the company has followed enabling them to adapt from its competitors and become the progressive company it is today.